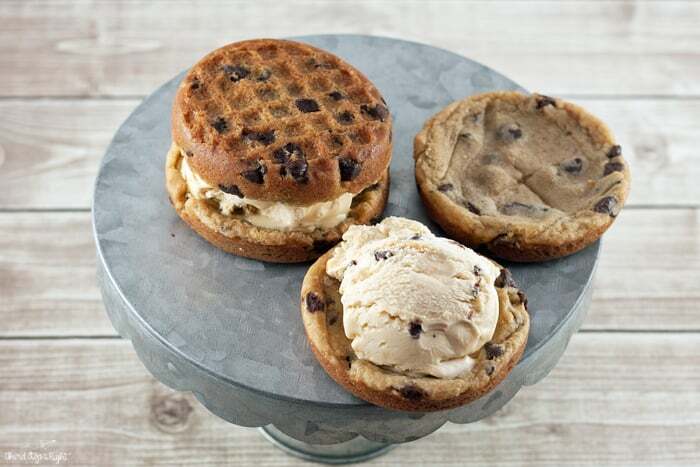 Summer is right around the corner and its time to start thinking about sweet treats and ice cream. The problem is that these treats are often high in fat and calories. Since right now I’m working on losing weight I have to watch what I’m eating. 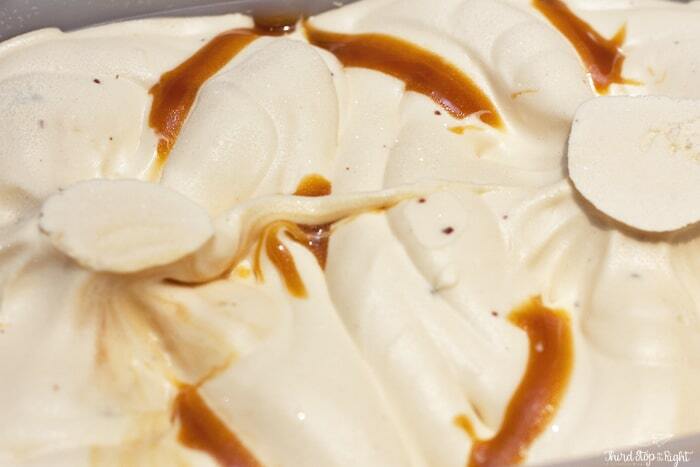 Ice cream has always been one of my weaknesses but it can rack up fat and calories if you aren’t careful. What if there was something that tastes as delicious as regular ice cream but with no added sugar? Blue Bunny ice cream has finally made this happen with their Sweet Freedom ice cream,. At first I was skeptical that the ice cream could taste as good as the regular stuff but as I said I’m trying to lose weight so it was worth a try. I was making ice cream sandwiches for the boys so I picked up a tub of Salted Caramel Craze Sweet Freedom ice cream at my local Walmart. I recently found an ice cream sandwich pan at our local craft store. I used some refrigerated cookie dough and placed two squares in each mold. I then baked the cookies which resulted in perfect circle side pieces. Then, I took a scoop of the Salted Caramel Craze ice cream and placed it in between the cookie sides. It turned out delicious! This is such an easy recipe to do and something that is perfect for those hot summer days. What is even beter is I can make these ice cream sandwiches with the Blue Bunny Sweet Freedom ice cream and not only will the kids not know the difference but it helps cut calories. Right now, in addition to saving calories, you can also save an extra $1.00 when you print the Blue Bunny Sweet Freedom ice cream. Additionally, if you check your Valpak envelopes you can get an additional $1.00 off Blue Bunny Sweet Freedom coupon. Both coupons are redeemable at your local Walmart. 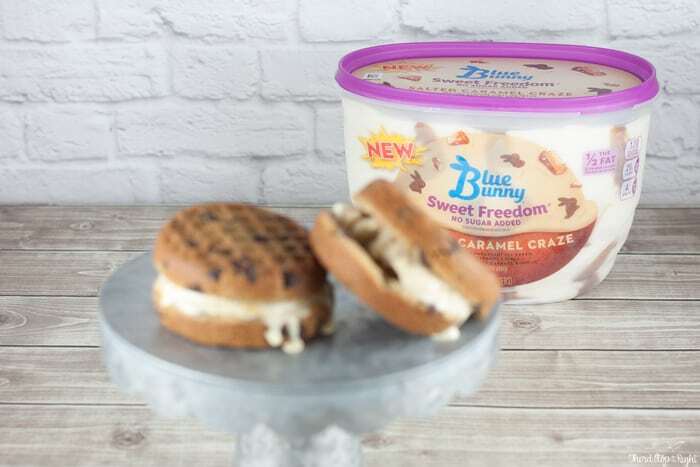 This summer, enjoy making delicious ice cream sandwiches with your kids while knowing that Blue Bunny Sweet Freedom has half the calories and fat of regular ice cream!